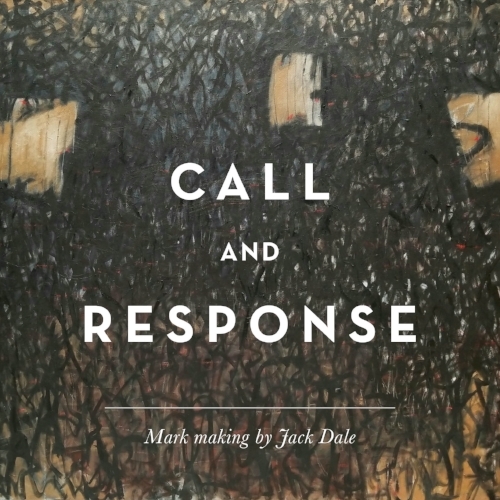 The Veronique Wantz Gallery is thrilled to bring you "CALL & RESPONSE" a solo show featuring works by local Minneapolis artist Jack Dale. Jack Dale, an ex-hockey Olympian, began by painting landscapes. 13 years ago, he decided to change direction and hasn't looked back since. Influenced by many well-known abstract expressionist artists such as Twombly, Diebenkorn, De Kooning, and Pollock to name a few; Dale's works can be bold in organic form and also immersively detailed with a maze of marks intertwining on the canvas. Whether you attribute some pieces with an air of complexity and intelligence and others being more playful and lively, they all start from a place of spontaneity and intuition. Without any preconceived ideas, paint is applied to the canvas and from there on it is a series of brush strokes, scrapes, rollers, smears, layers and color combinations until the piece is completed. We look forward to sharing these incredible works with you!